Italian design and technology, manufactured in Italy. Digital technology reproduces graphic patterns of natural wood on this material, and gives the surface its realistic and intricate identity. This material allows you the beauty of wood flooring with the versatility, reliability, and easy maintenance of a porcelain tile. 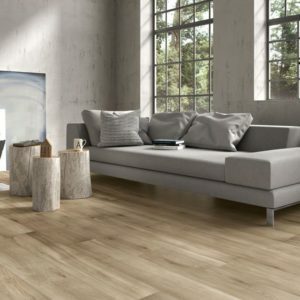 The wood grain look with the durability of porcelain.